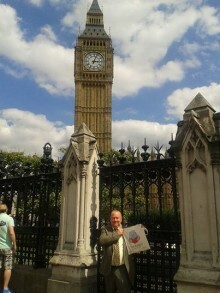 Once upon a time, Rochdale Borough Libraries workers Irene Peachey and Ray Stearn were invited to a parliamentary reception in the Churchill Room in the Palace of Westminster. 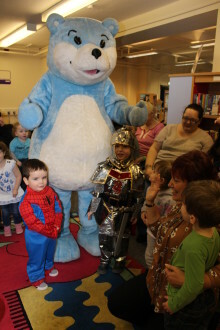 National Bookstart Week is being celebrated throughout the borough, with this year’s focus being ‘reading everyday’ and the theme of ‘my hero’. 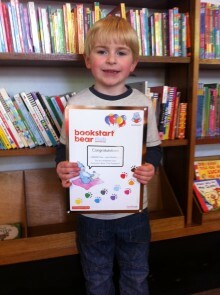 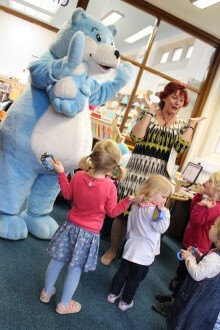 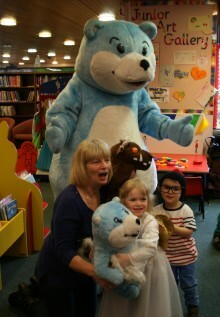 Bookstart Bear appeared at Heywood Library as part of ‘National Share a Story Month` on Thursday 1 May.